A: That gig has gone to actor/comedian/writer/producer Ricky Gervais, who’s hosted the previous two Golden Globes ceremonies. Most of you know I wholeheartedly approve of this choice, as do many of the Hollywood royalty that Ricky teases. Liam Neeson has voiced his approval of Ricky, saying: “Hollywood needs a shake-up. He’ll be great.” Robert DeNiro showered Ricky with praise after last year’s controversial telecast, telling Ricky he’d be happy to set anyone straight who was offended. Johnny Depp guest-stars on Ricky’s new TV show, “Life’s Too Short,” poking fun of himself and Ricky in a hilarious sketch (Google it and see for yourself). 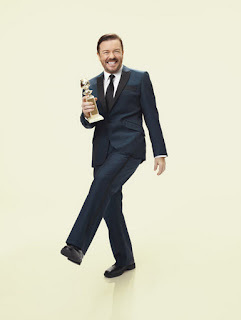 The Golden Globes Awards telecast airs live Sunday, Jan. 15, on NBC. A: You don’t have to wait much longer for the season four premiere on Jan. 17. 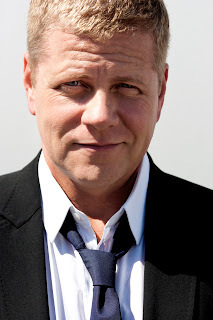 This season will feature returning stars Michael Cudlitz, Shawn Hatosy, Regina King and Ben McKenzie, and will guest-star Lucy Liu. This season will also reunite Regina King with her “227″ co-star Marla Gibbs, who guest-stars as a family member of a suspect that Detective Lydia Adams (Regina) is investigating for murder. Q: How is Demi Moore doing? Will she divorce Ashton Kutcher for his alleged infidelity? — Renee R., Clearwater, Fla.